Ana Valdez, once the Interim President of Mexico in the suspense fiction, The Z Redemption, granted an interview to the author after the history changing events described in that novel. Ana went on to star again in the novel, Corvette Nightfire. Click the photograph of Monterrey, Mexico below. It is the link to the interview with this bold and courageous woman! Click photograph to read the inverview with Ana Valdez. After Mexico dissolves into chaos following a military coup and the people take to the streets in massive demonstrations, ex-CIA agent, David James, and his Monterrey lover, Ana Valdez, form the parkour-style “Z”s to rescue the beloved country. The Zs fight for justice in Mexico without firearms against the drug cartels! David and Ana, passionate in love, passionate for Mexico, call in their chips: David’s ex-college roommate, who is now the President of the United States, and Ana’s legion of followers who follow her blogs and tweets and national celebrity. Validated by current events in Mexico, the novels of The Z Redemption Trilogy will keep your heart pounding with suspense from beginning to end! Join the ordinary heroes of Mexico and the United States in their fight against organized crime and those who corrupt entire countries! 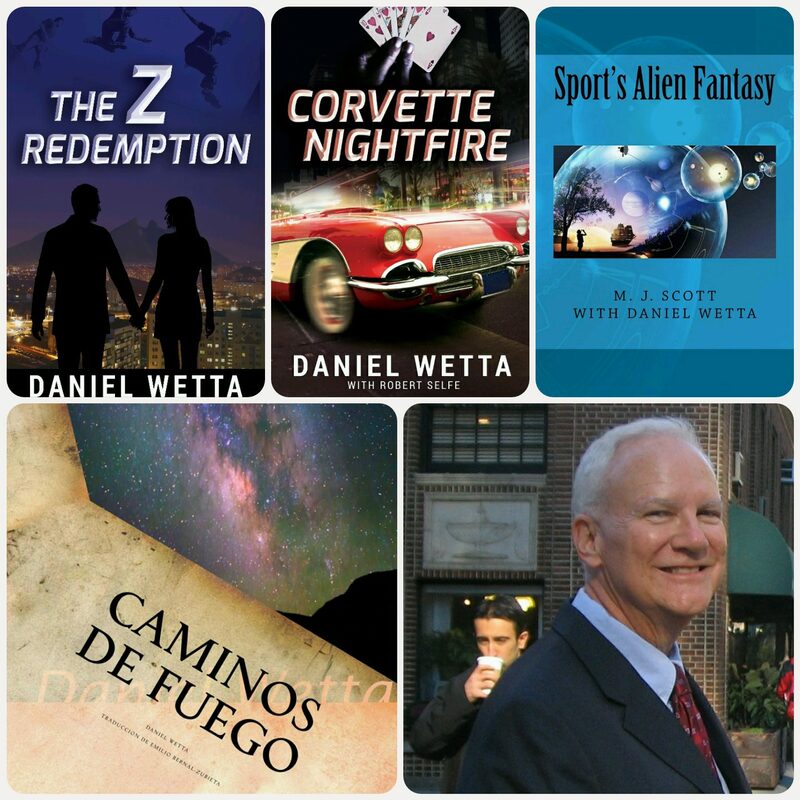 Visit www.danielwetta.com for information about the exciting second editions of The Z Redemption and Corvette Nightfire and their FREE related short story prequels, “Awakening From the Golden Sleep” and “Nightfire!”.